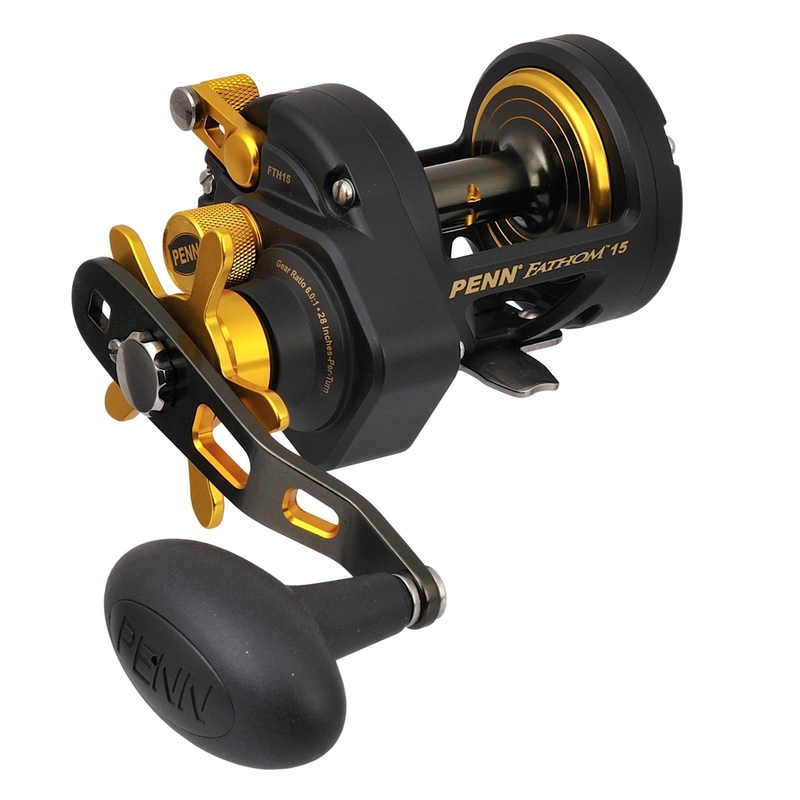 Penn Fathom 15 Star Drag Reel. The Fathom Star Drag is constructed with a full metal body and sideplates and machine cut marine grade bronze main gear for exceptional PENN durability. The Live Spindle Design and internally adjustable centrifugal braking system ensure exceptional casting so whether you want to cast further or fly-line live bait with ease the Fathom is the ideal choice. Designed with a full diecast metal reel frame and side-plates to minimise any chance of gear torsion under pressure, machine cut, marine grade, bronze main gear meshing with a super tough stainless steel pinion gear, 5+1 shielded stainless steel ball-bearings for smoothness of operation, and a Versa-Drag system utilizing HT-100 drag washers for a totally smooth drag. The reels also feature a live spindle giving a fully free floating spool, plus an internally adjustable centrifugal brake for exceptional casting performance. The revolutionary Live Spindle™ design ensures exceptional casting performance. The improved configuration allows the spool to spin independently of the spindle and pinion gear, which significantly reduces friction experienced from the extreme acceleration of the spool when casting. Other reels using a “fixed spindle” design slow the rotation of the spool and reduce casting distance. Additionally the Live Spindle improves the retrieve of the reel because the spindle and pinion do not need to turn relative to each other during heavy loads, unlike a “fixed spindle” reels that result in a difficult retrieve and erratic drag. By rearranging the sequence of the keyed metal washers and eared HT-100™ washers the reel can be set up for fishing a wide range of drag settings without additional parts. Eliminates the question of how much line you have left when fighting a fish. The three lines on the spool flange let you know when you have 1/3rd, 2/3rd or a full spool of line. Also if you respool often these lines give you a benchmark for backing your superlines with monofilament which will help eliminate wasted time and line.